Isn’t that beautiful? 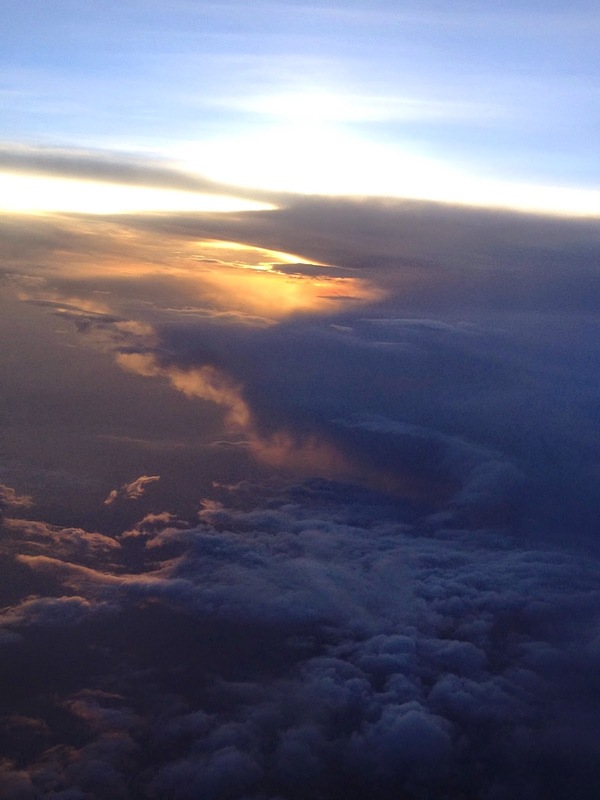 What a gift to watch the sunset above the clouds in an airplane. This was the verse I picked to Soap journal on. I love this imagery. Faithfulness is my favorite adjective for God. He always provides for our needs. Often in ways unseen or unknown to us. He is not limited to the few options I have in my head as to how He should provide. He created fish that glow in the depths of the ocean and glorious northern lights in the arctic. He is incredibly creative. Why do I limit his creativity to provide for me? It is the rational side of me that tries to contain God and put him in a box. But God is above and beyond rational and possible. He is not confined to human limits. His faithfulness reaches beyond the clouds. Clouds are amazing. I was so enthralled while watching the clouds during my flight. I was awe of them as I flew to Guatemala. I realized how I take it for granted to fly above the clouds. The colors, dimensions, were unreal – like another world. For thousands of years man never saw above the clouds yet he created such splendor. Hannah just shared that she learned in school that only 5% of our oceans have been studied and discovered. So there is all this beauty and mystery still to be discovered all around us and He is the author of it. Yet I put him in a small box in an attempt to make it easier on my small mind. He is so much bigger than I can imagine. My prayer : God I want to know you more. I want to discover more of your beauty and creation. Help me to remember how mighty and able you are.